Have you heard from your car dealer or from the car manufacturer that plugging an OBD-II device into your car would void the warranty? The answer is NO as long as you use an OBD-II unit that has passed an independent compliance test. With the OBD-II standard, you can’t void the warranty no matter what others tell you. The device will just do what’s described in the standard; hence there is nothing that can void the warranty. With that said, a manufacturer should always have a liability and product insurance to deal with any claims that may arise. Test institutes like TÜV in Germany provide product qualification for on-board diagnostics data loggers (OBD-II devices). Ask the supplier and/or manufacturer of the OBD-II device to provide the test document ID or certification logotype to be sure the device has been tested and approved. Automile has with its partners tested its products at TÜV to make sure they comply with the given OBD-II standard. Even if a device has or hasn’t passed an OBD-II standard test you should be aware that some makes and models of vehicles do not follow the standards themselves. This has become clearer when OBD-II devices have started to be connected recognizing that vehicles also have software issues and not only mechanical issues. 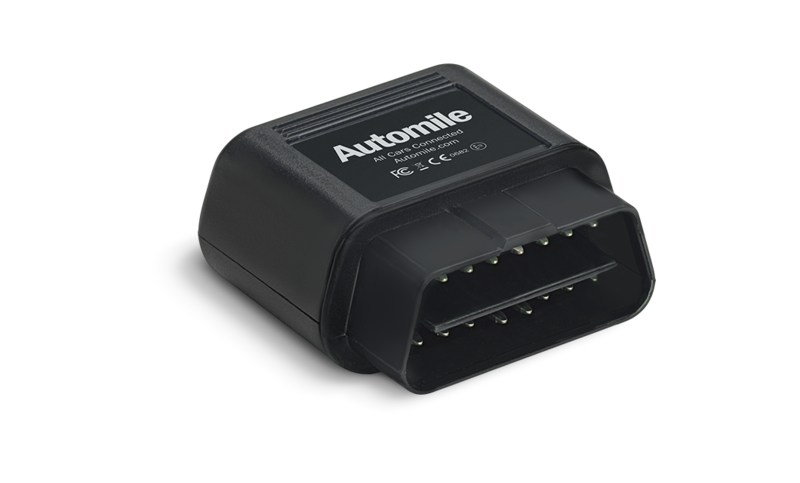 Automile has extensive knowledge about how to solve the complexity between older and newer vehicles with features that allow the device to detect if the vehicle can properly communicate by the given standards or not. If not, the device switches to a different mode and starts processing data based on other sources and don’t rely on all data from the vehicle. The most crucial part of a permanent connected OBD-II device is to detect and act on battery voltage drops indicating a low battery or the opposite. A vehicle that takes short trips or drives in cold weather will face battery problem frequently without telling the user. During the ignition sequence, the battery is stressed and during the drive, the battery is being charged. An OBD-II device that doesn’t react on these voltage drops and can’t sense low battery can drain the battery from the vehicle completely leaving the customer unable to start the vehicle next time. Automile devices sense the voltage drops and place the unit in a standby mode after the ignition is turned off. If the car continues to stand still for more than a certain time the device is placed in deep sleep mode. Eventually, if the voltage indicates low battery the device is shut off to make sure the driver doesn’t have problems starting the vehicle next time. If you notice that your OBD-II device affects your battery then this proves that there is no support in the device to determine these very important voltage drops and energy levels inside the battery.